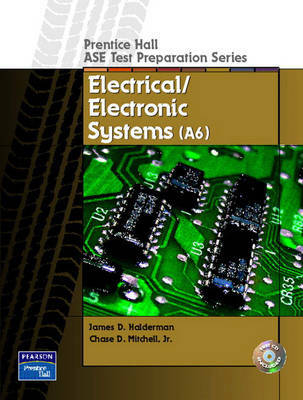 With comprehensive coverage of all topics, this book follows ASE guidelines to review a sample ASE test and prepare learners for certification. KEY TOPICS: Over 100 multiple-choice items duplicate the type of questions found on the ASE exam, and provide explanations of what makes each right answer correct and the wrong answers incorrect. The guide's practical, concentrated coverage focuses learning on topics that will be covered on the certification exam, and have been determined to be important by the ASE. An ASE task list enables readers to make the distinction between the need-to-know and nice-to-know information. MARKET: For individuals and distance learners preparing for ASE certification.